Mountain bikers climb a trail in April 2017 in what is known as the Haines parcel, acquired last year by the Bureau of Land Management. A BLM decision authorizes 4 miles of trails, approves 4.25 miles of new trails and closes 1.75 miles of trails. 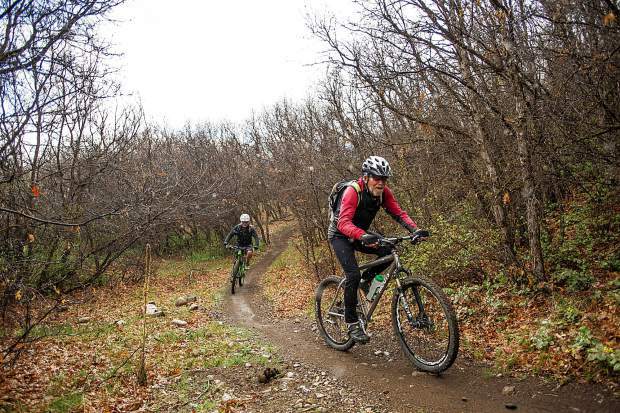 Some popular mountain biking and running trails along Prince Creek Road south of Carbondale were legalized while others will be rerouted and a handful will be closed in a decision made Monday by the Bureau of Land Management. 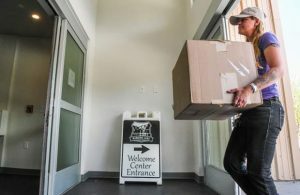 The agency said it had reached the conclusions after studying the 112-acre Haines parcel, which it acquired in March as part of the controversial Sutey Ranch Land Exchange. About 4 miles of existing single-track was authorized while more than 4 miles of new single-track trail was approved. About 2 miles of trails will be closed because portions trespass on private property. “Trail users are the winners here,” said Mike Pritchard, executive director of the Roaring Fork Mountain Bike Association. A popular trail network has evolved over the years between Prince Creek Road and higher-elevation BLM land on the Crown to the north and east. Some of those trails threaded their way through private and public lands. “Now that’s all cleared up,” Pritchard said. The decision incorporates several primary trails into the BLM system, including Monte Carlo, Christmas Tree, Ginormous, Trough and English Trim, according to Pritchard. The decision also will improve safety for trail users, he said. There is current two-way travel on Monte Carlo, a trail that wanders back and forth among oak brush parallel to Prince Creek Road. Sharp corners, thick vegetation and rolling terrain make it ripe for collisions. The BLM has authorized creation of a new Prince Creek Trail in that corridor, parallel to Monte Carlo, so that one-way travel can be implemented, he said. 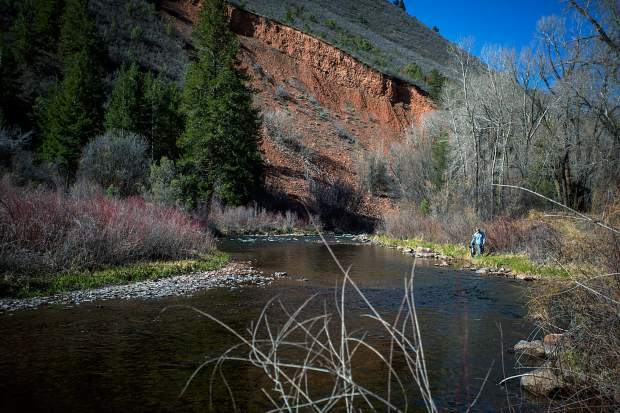 That will continue the directional trail situation that Pitkin County Open Space and Trails created with a new trail lower in the valley last fall. Another new trail approval will allow extension of Father of Ginormous, Pritchard said. Roughly a half mile of Upper Creekside Trail will be closed because it is on private land, the BLM ruled. A portion of a route known as Jen’s Trail also will be closed, but a new Jen’s Connector trail was authorized to provide critical access to other areas. “It should be seen as a net win,” Pritchard said. The decision also pinpoints the need for reroutes on about a quarter mile of the Buckhorn Trail, higher up the slope in what’s known as the Crown Special Recreation Management Area. The BLM decision also approves construction of 10 individual campsites in two clusters and two group campsites along Prince Creek Road. The BLM intends to go through the federal process to authorize collecting a fee at those sites. Work will begin in the springa, the BLM said. The first essential step in the project was getting the Haines parcel into the public’s hands. Once accomplished, the BLM studied the trails and determined their fate.